Weekend Plans: Valet. Editor-in-Chief Cory Ohlendorf - 4/20/17 | Valet. This weekend, I'm planning on popping open a nice bottle of Spanish red wine and working on my kneading technique while learning a little about success and catching up on vintage Bourdain. Here's what I've got planned. Going to Pizza Camp! Ok, not really. But I will be staying in this weekend to master homemade pizza. And this cool new book, designed by the art director behind Lucky Peach, is going to help me. 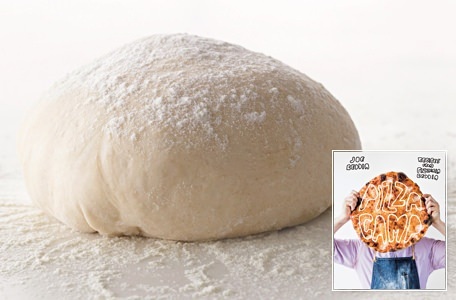 It's written by chef Joe Beddia of Philly's Pizzeria Beddia, who Bon Appétit says makes the best pizza in America. Packed with 50+ recipes and easy-to-follow instructions, Beddia shares the secrets to making perfectly crisp, satisfyingly chewy and incredibly tasty pies at home. Lately, I've really been digging Jeremy Kirkland's Blamo! podcast. The conversations with such stylish insiders as Josh Peskowitz and Michael Bastian are always engaging and chock-full of interesting information about going after what you want and the often-rocky road to success. This week, his guest is Tommy Ton and the two discuss how the renowned street style photographer went from a lowly design assistant to shooting campaigns for Louis Vuitton (and launching Kanye's style gawd status with this infamous shot). 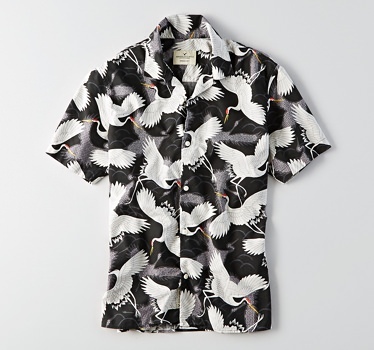 This chinoiserie printed shirt from American Eagle (of all places). You've likely been noticing all the graphic, printed shirts like this lately. Gucci makes some great ones but I'm not sure how much wear I'll actually get out of it. So this one, for just $25, will do nicely. In hopes to look better in my shorts this summer, I'm vowing to start doing this jump rope workout each morning. After all, how hard can it be, right? This weekend, Bill Nye Saves the World premieres, and I'm sure I'll be checking that out. But I've just come across Anthony Bourdain's short-lived Food Network series from 2002 called A Cook's Tour that Netflix is now streaming. And as a self-described Bourdain fanboy, I'm gonna binge on this under-the-radar time capsule like Tony would down bourbons.